The LiftMaster 300MC Gate and Garage Door Opener Remote is a 300 MHz remote that is compatible to MultiCode remote controls. This garage door opener transmitter is a compatible replacement for the MultiCode 3089, 1089, 3083, 4120, 3070 and 3060 remotes. It is also compatible with Digi-Code DC5010 and DC5040 transmitters. The LiftMaster 300MC is designed to use with 300 MHz receivers, such as the MultiCode 1090, 1099, 3021 and 3028, and the Tricode TCG1, TCG2, TCR1 and TCR2 gate or garage door opener receivers. 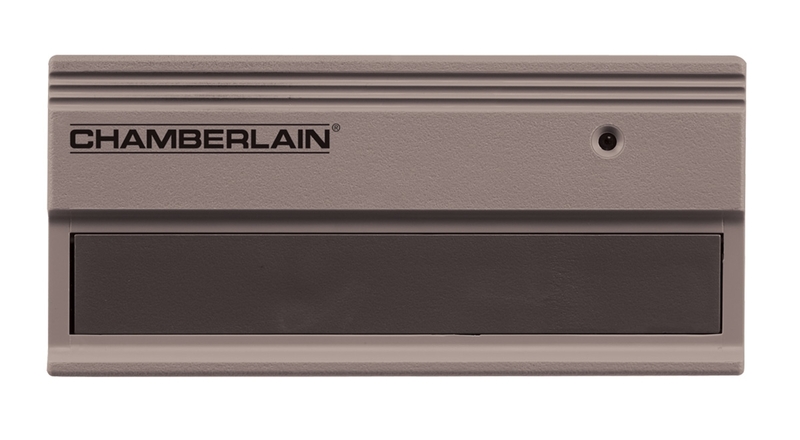 This stylish, neutral gray garage door opener transmitter features a Test/Operate LED, easy to access 12V battery and DIP switch, and includes a visor clip. As all LiftMaster products, the LiftMaster 300MC remote meets FCC Part 15 Requirements. Each LiftMaster 300MC Garage Door Opener Remote is brand new, shipped with the original packaging and manuals, and carries a one year warranty from the manufacturer. For more information on warranty, shipping, technical advice and customer support for the LiftMaster 300MC Garage Door Opener Remote please visit the AAARemotes.com company information page.